Former Liverpool captain Steven Gerrard said that he was happy with the way Liverpool played against Manchester United. He said that the players had given the best on the pitch and it is unfortunate that they could not score a goal. Gerrard said that Manchester United came to Anfield to get a point from the game and was not interested in attacking. He said that it is never easy to create chances against this kind of tactics and believes that the players have done well during the match. Liverpool clearly miss Steven Gerrard even after more than a year since his departure to LA Galaxy. Even though he may have regressed as a player towards the latter years of his career at Liverpool, Gerrard grew even bigger as a captain. The leadership offered by the former England midfielder was inspirational on numerous occasions. In his absence, a number of potential candidates have been playing their mark to secure the armband on a permanent basis. When Gerrard was still playing at Liverpool, Jordan Henderson came up to become an unlikely successor to the armband. Former Liverpool captain Steven Gerrard has urged fans to support the new captain Jordan Henderson. Jordan Henderson was named Liverpool captain last season but has since then enjoyed a poor period with the team. Indeed he was injured multiple times and has experienced a poor form ever since then. Steven Gerrard has urged fans to get behind the player. He said that Jordan Henderson is a great player and committed to the team, but unfortunately, he has been affected by injuries. He believes that the new captain will need all the support he can get to come back to his best form. He has asked the staff, the fans, the players as well as the manager to do everything they can in order to help Jordan Henderson come back to his best. Liverpool legend, Steven Gerrard, makes his return for his club side, LA Galaxy upon returning from a groin injury. The talented midfielder was subbed into the match for LA Galaxy captain Robbie Keane in the 60th minute. The visitors pushed hard for an equalizer after the New England Revolution cut the score line to 3-2. Captain fantastic collected a pass from Mike Magee at the top of the box in stoppage time and made his way through the Revs defense before looping his shot into the back of the net. His goal sealed all three points for the Galaxy. After having spent 17 years performing with Liverpool, Steven Gerrard has earned the love and trust from the fans of the Premier League club and even though the English midfielder left Liverpool over 1 year ago, Gerrard still remains up to date with everything that is going on with the club on Anfield. It’s even being rumored that Gerrard might make a return to Liverpool someday and continue helping out his childhood club but as a manager instead of a player. Steven Gerrard claims that England fans should not be pushing Wayne Rooney out of the national team for a dip in form. A recent survey indicated that fans overwhelmingly support the decision to drop Rooney in favour of young strikers like Harry Kane and Jamie Vardy. The latter have recently scored in the friendly games for England. Rooney is yet to feature for the national team in 2016, but he finished last year with five goals in eight appearances. His record with Manchester United in the 2015-16 campaign has been extremely disappointing. Young striker Anthony Martial has been frequently able to overshadow him. Tottenham can be hugely thankful to goalkeeper Hugo Lloris, who has saved a number of points already this season. However, the Frenchman has revealed that he could have easily left the club had it not been for the arrival of Mauricio Pochettino with his brilliant ideas. Spurs appeared to be struggling for a direction when Tim Sherwood was the interim manager. He was replaced by Pochettino, who had achieved great things with Southampton until then. However, his experience in English football was limited by that stage. Lloris was turning out to be a great signing for Spurs. Liverpool have suffered a major setback at a crucial stage in the season with the news that midfielder Steven Gerrard has suffered a potential hamstring injury that could keep him out for a few weeks of action. This injury comes at a time when Liverpool are awaiting crucial matches in the Europa League and FA Cup. Gerrard is in his final season at Liverpool as it has already been announced that the iconic midfielder will be joining LA Galaxy at the end of the season. Liverpool are hoping to send him out on a high by lifting the FA Cup. The 2-1 win over Crystal Palace has put the club in the quarter-finals of the competition. Steven Gerrard still has it in him. The Liverpool skipper was the star of the show the previous Tuesday in the Champions League home game against FC Basel. The Reds could not win, but, the way they played in the second half especially in the final 10 minutes or so, it was superb and Gerrard was responsible for that. 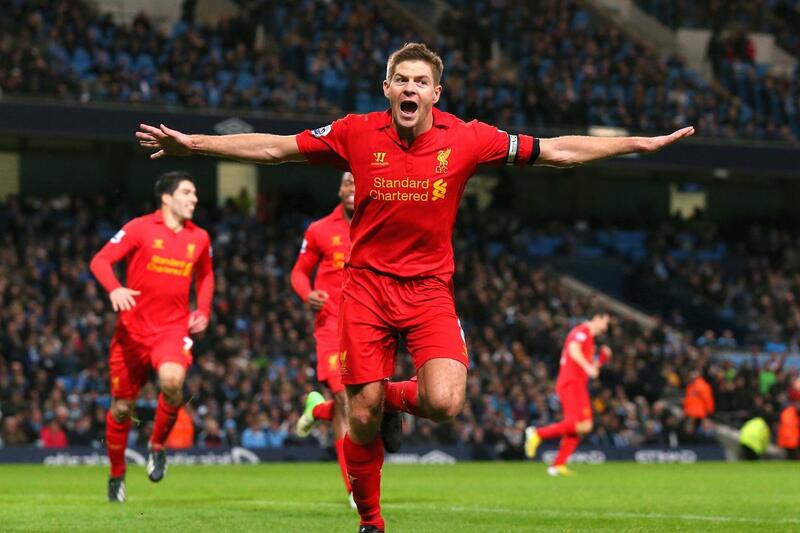 Right through the game, the energy level of Gerrard was right up there. He had stepped on to the field with some determination. His shoulder did not drop at all when he saw the comparatively weaker opponent side going 1-nil up. That actually motivated him more. He was screaming, trying to charge his teammates up. Steven Gerrard reckons that his boys did not have enough hunger in the European Cup fixture against the Swiss club FC Basel the other day. The Reds lost that match by 0-1 to slip to no. 3 in Group B. With a win versus Ludogorets Razgard, they had made a great start, but, the outing against Basel did not seem to have impressed Gerrard even a single bit. Legend Steven Gerrard Climbs The Staircase Of Success At The Rangers F.C.